TUESDAY, April 5, 2016 (HealthDay News) -- Many Americans would take a class to learn how to stop or control bleeding to help victims of shootings, accidents or other emergency situations, a new survey suggests. The telephone poll of more than 1,000 civilians nationwide was conducted in November 2015. More than four out of five people said they'd be interested in taking a class to learn how to stop bleeding from an injury. Almost half had already received first aid training. Thirteen percent of that group had trained in the past two years and 52 percent said they had trained in the past five years, the poll showed. 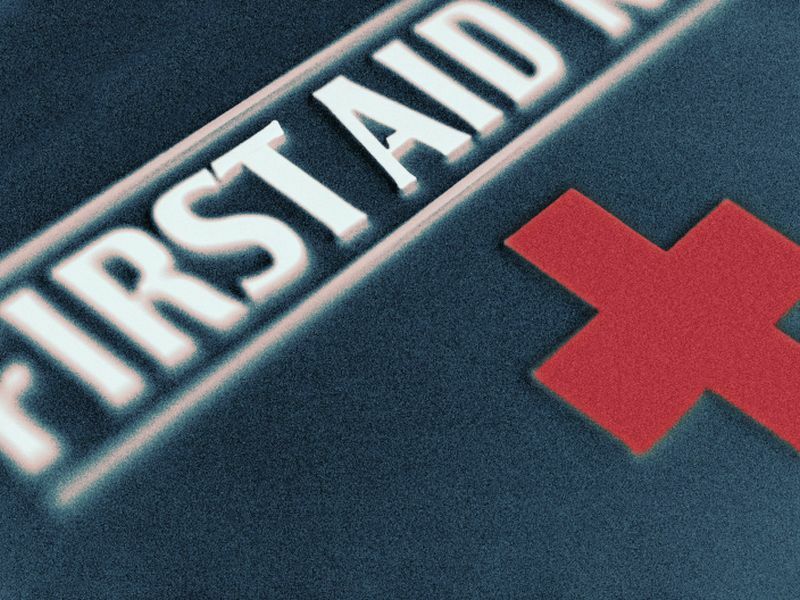 People aged 50 to 64 were most likely to have had first aid training (57 percent). Younger people -- those aged 18 to 29 -- were the least likely (37 percent). Of those who had first aid training, 72 percent said the training included how to control severe bleeding. Among respondents with first aid training, 98 percent said they would be very or somewhat likely to attempt to control severe bleeding from a leg wound in a family member. A random sample of respondents found that 61 percent would be very likely and 31 percent somewhat likely to try to stop severe bleeding in a car crash victim they didn't know. The survey results were published online recently in the Journal of the American College of Surgeons. "We know that to save life and limb, you need to stop the bleeding very early, within five to 10 minutes or victims can lose their lives," Dr. Lenworth Jacobs Jr., director of the Trauma Institute at Hartford Hospital in Connecticut, said in a college news release. "However, until now, there has been no clear indication of how well trained the general public is in bleeding control and how willing they might be to participate as immediate responders until professionals arrive on the scene," added Jacobs. He is also chairman of an American College of Surgeons Committee examining how to improve survival rates in mass casualty events. Another random sample from the poll found that 75 percent of respondents said they would try to give first aid in a mass shooting situation if it seemed safe to act, 16 percent said they would stay and wait to see what happened, and 8 percent said they would leave the area. If the situation was safe, 62 percent said they'd be very likely and 32 percent said they'd be somewhat likely to try to stop bleeding in someone they didn't know. Many respondents said they had concerns about trying to control bleeding in a person they didn't know. Some of those concerns included causing the victim additional pain or injury (65 percent), the risk of catching a disease (61 percent), causing a bad outcome (61 percent), personal safety (43 percent) and the sight of blood (30 percent). Despite those concerns, 82 percent of physically able respondents said they would be very or somewhat interested in taking a two-hour bleeding control course. There was also strong support for placing bleeding control kits (gloves, tourniquets, compression dressings) in public places. "Moving forward, we plan to use these new insights to develop a training program for the public, not health care professionals, so civilians can learn how to act as immediate responders. We want to steer interested people toward getting the right training, and to understand when victims are experiencing the signs of massive bleeding so they can 'stop the bleed' and save lives," Jacobs said.